Overview… an Ensign reporting for duty on the Caine, a minesweeper that’s more like a beaten-up tub. His new officer, Captain Queeg, is a tough and ruthless leader who regularly berates Willie. 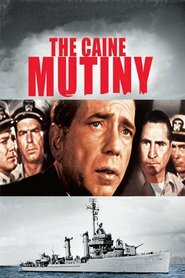 When Lieutenant Steve Maryk begins documenting Queeg’s behavior, Willie is persuaded to present a case against Queeg to Admiral William F. Halsey, Jr. As the case progresses, Willie must decide if he is truly the victim or simply an insubordinate traitor. Personality… wide-eyed, sensitive, and frustrated. On Queeg’s ship, excellent performance is standard, standard performance is sub-standard, and sub-standard doesn’t exist. Queeg insists on doing things by the book, and when rules are broken, he’s swift with his discipline. Willie is a rookie who isn’t sure if he’s being helped or victimized. But in his pursuit of justice, he may be in for a rude awakening. Willie Keith's popularity ranking on CharacTour is #4784 out of 5,000+ characters. See our top-ranked characters and read their profiles.